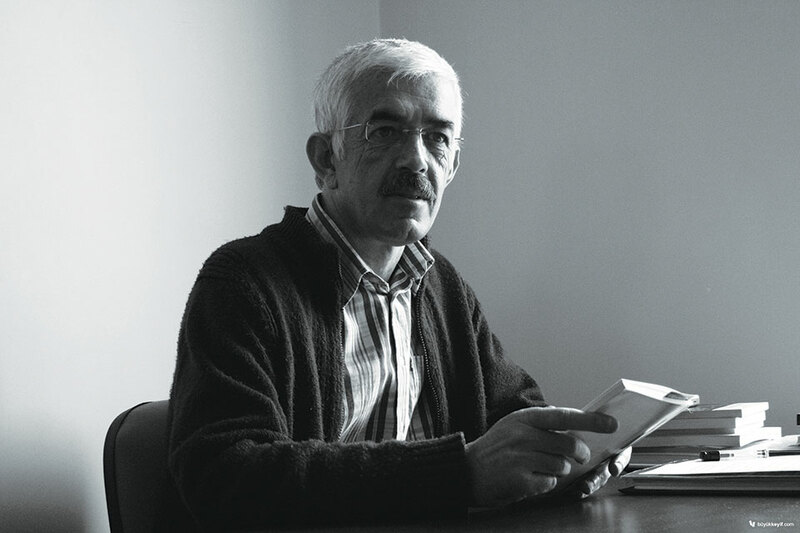 Hasan Ali Toptaş is one of the most exciting contemporary writers of Turkish literature. His short stories and novels have won prestigious national awards. 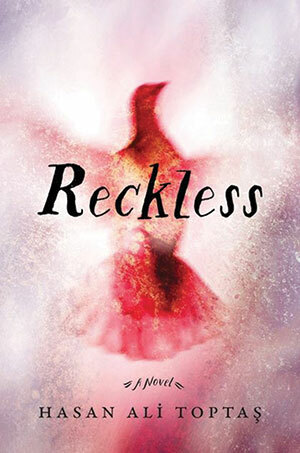 His latest novel, Reckless, was translated into English by Maureen Freely and John Angliss and published by Bloomsbury in 2005. His most famous work, Shadowless, has been published in Germany, Finland, South Korea, the Netherlands, Sweden, and France and was made into a film in 2009 by director Ümit Ünal. In March, Bloomsbury published the English translation. The following conversation is part of a three-hour interview conducted in Turkish at Toptaş’s home office in Ankara. Hülya Yıldız: You’re often compared to Kafka. The German press in particular has written on this comparison. Hasan Ali Toptaş: In Italy, too. This has happened in every country. They introduce the translations as the “Turkish Kafka.” This discomfits me a lot, of course. To be compared to Kafka is discomfiting in itself. Actually, the first comparison was a very innocent comparison. Yıldız Ecevit made it, but Yıldız Ecevit didn’t make it on the grounds of the similarities in our writings. I was a receiver in the tax office in Sincan, in Ankara; Kafka was an official working in worker accident insurance in Prague. He was alone, lonely, timid, withdrawn. Hasan Ali was the same. Yıldız made this comparison on this basis, but the comparison has hung over me. In fact, we cannot be compared. Kafka’s language doesn’t resemble mine, first of all: mine is more poetic and romantic, while Kafka’s is a type of telegraphic language, as though written in Morse code. With these things, in order to be rid of them you have to exaggerate them, so for a while I tried to do so; I said that yes, I like Kafka, he’s my cousin. The next year, a piece about me came out saying I was Kafka’s cousin. Even through whipping it up and exaggerating it, I couldn’t get rid of it. HY: That Kafka comparison was made by Stefan Weidner. HAT: Yes, in an article in the Frankfurter Allgemeine. HY: There, he says, “Toptaş at the same time has come from the East. He is a Kafka enriched with the literary gains of Islamic mysticism.” That caught my interest, you as the Eastern Kafka with the mention of the literary gains of Islamic mysticism. HAT: I have been influenced by it. For example, most of all in Reckless. HY: Truly, we cannot deny that. He happened to say it about Shadowless, but of course as far as I understand, when new authors are introduced to western readers, they are often introduced in reference to a well-known author. HAT: I see Kafka as a kindred spirit. HAT: It isn’t the construction of his texts or his language that I see as close. I see his style of perception and means of perception as being close to mine. But I find, let’s say, García Márquez’s or Proust’s texts more literary than Kafka’s. HY: Indeed, I have also felt a very similar spirit to, especially García Márquez, in some of your books. For example, I liked The Book of Lost Dreams and East of Slumbers very much, especially for the atmosphere they create and the taste they leave. HAT: What happens in Anatolia is not so different from what happens in García Márquez’s novels. HAT: That is, when I read García Márquez, I read him as if I were reading a story in our country, a story that took place here. Or let’s say, when I was watching Time of the Gypsies I said, “These are my uncles.” I mean, the people Kusturica portrays in that film, those film heroes are my uncles; it is the life I lived in the small town. HY: The Balkans may be closer to us, although I think that Latin America may be geographically distant, but in spirit it resembles ours. The fable-like atmosphere in your novels, too, is a little like the atmosphere of the Latin American novels. HAT: The magical realism that began in Latin America could well have begun here, in fact. HAT: I don’t know, should the Village Institute generation have created it? It could have happened. HY: Yes, indeed; here Latife Tekin is always mentioned when it comes to magical realism, rightly so in my opinion, but I believe it has been an influence on you as well. HAT: It has had an influence on me. HY: And I think this is a very good thing. I have always wondered why more Turkish writers make use of folklore, folktales, and myths. Your books are different in this way, as well. That may make things difficult in translation and for readers abroad. HAT: In Reckless, there is a wedding scene, and sometimes I have been criticized along the lines of “Why did you make that so long?” I explained it at length because that sort of wedding soon won’t happen anymore; that is, it is a dear loss. The CD—a lifeless thing—has taken the place of those musicians, that group of musicians. That section is an elegy to a long-lost ritual. HY: So you knowingly wanted to record it? HY: In that sense, maybe literature is in some way the memory of a society. HAT: In some sense. But it is also important not to turn into a minutes-taker while doing this. For example, while recording the wedding scene we just mentioned, at the same time we have to make it a part of the novel, part of its internal logic and operation. Otherwise, it will just sit there waiting, and this will damage the text. In every text, the real hero is the text itself. While I was writing A Thousand Melancholies, I didn’t know what I was doing. HY: It needs to have a place within the structure of the text. In this context, I have already seen from what I have read that plot is a very important thing for you. It is something you pay a lot of attention to. You say A Thousand Melancholies has a very important place in your authorial journey, being the novel that was a leap forward for you. HY: Could you tell me a little more about that? How, and in what way, was it a leap forward? HAT: If we say there are five paces between Full Stop to Infinity, Shadowless, and The Book of Lost Dreams, A Thousand Melancholies is twenty-five paces away from these novels. A Thousand Melancholies is a very experimental work. It was published in 1998, and for fifteen years there have been readers who have thought that the first section of A Thousand Melancholies has typos, like not including unvoiced vowels or omitting half a sentence. I have had to say many times in conversation that these are not typos, that they were done by the author, and indeed to explain further and say they were done for this reason. Despite that, there are still those who think that there are typos in that novel. It was a risky work; there was no direct chain of events, no hero; the hero was just the text itself. Anyhow, in every text, the real hero is the text itself. While I was writing that novel, I didn’t know what I was doing. Yıldız has written a long piece on A Thousand Melancholies, around forty-five to fifty pages. That piece was in a book called Postmodernist Perspectives on Turkish Novels. Before that it was published in a magazine, probably Varlık. When I read that piece I understood better what I had done with A Thousand Melancholies. But that’s what art is like sometimes. We don’t have to be entirely aware of what we’re doing in a text. That would mean that we haven’t gone beyond the range of the intellect. But art cannot be made within the range of the intellect, it is something that leaves the intellect behind from time to time. HY: Yes, this matter of the intellect always comes out in your interviews; you have seen the intellect as a wound, seen it as an obstacle to a type of creative authorship. Could you expand on this? What are you talking about when you mention the intellect? HAT: When we’re doing something in a chemistry lab, a carpentry workshop, or in the world of finance, the intellect is, of course, necessary. In these areas, if we forget even a tiny bit of knowledge, this can lead to a great amount of damage. But when it comes to art, whether we are painting or writing a text, the intellect is not such a wonderful thing. That is, the knowledge we have acquired about the work we have done up until that time is not that important. Indeed, we should forget that knowledge, it is not knowledge itself, but its vapor that is solid when it comes to art. Or else if we hold everything we know about the novel in one hand and a pen in the other, putting ourselves in fetters, we will not be able to go forward. You write in the breeze of that knowledge, not in light of it. Otherwise we are doing nothing more than continually repeating novels already written. HY: So it’s more instinctive, more emotional. HAT: I mean, when writing, I think a person needs to have times when they leave even their own intellect behind them. Moreover, we’re not just made up of our intellects. Even as we breathe our last breath there will remain dark places inside us we still cannot reach. Those places now get a breeze from outside, receive certain signals. We must allow those signals to govern our pens. If we solely carry it out with our intellects, we leave those out. In truth, we write our first sentence out of courage or ignorance, but we cannot write the second sentence completely on its own. HY: How do you begin writing a novel? For instance, at the back of your head do you think, “I’m going to write this type of novel”? For example, how did Reckless come about? HAT: It’s just a feeling; in Reckless, when I started I thought very small with Binnaz Hanım’s speech in the first section, but Binnaz Hanım’s speech was so much to my liking that I couldn’t stop myself. The rest of the novel came from within Binnaz Hanım’s speech, in fact. That is, in truth, we write our first sentence out of courage or ignorance, but we cannot write the second sentence completely on its own. HY: It’s connected to the first sentence, in fact. HAT: It must stay connected to the first sentence. When we write that second sentence, we have to keep it connected from its foundations to the music, meaning, or structure of the first sentence. We write the third in collaboration with the first two, and thus it continues. In fact, meaning and ideas then begin to be born gradually inside the text from there. For example, as Binnaz Hanım explains, Matkap, her father’s murderer, turns into a ball of compassion all of a sudden when he meets children. This—far later in Reckless—connects to the tyrant we call “Cap-Flyer” in the Border section. Or else these two tyrants echo each other. That is, these types of symmetry, these types of things do, both do and don’t, come out themselves; they are formed slowly through a cooperation of the internal logic of the text and my mind. I am a person who cares a lot about what we call excitement. I don’t see planning a novel from the beginning to the end like an industrial engineer as a very good method. I want to live with the excitement of what is to come in the next section while I am writing. This isn’t only something I think because this excitement fuels my own spirit; I also think this excitement becomes hidden in the music, the meaning, and the structure of my sentences. And I believe that excitement, if it is sincere, will be passed on to the reader as well. HY: Sincerity, yes. That is, to write a little bit, as you have said, by a code of “Our Master Is Novicehood”; that is, our master is the text itself, and also seems to let himself be carried away in the writing. HAT: Yes, I don’t want to dominate everything I write. I want it to take me over from time to time. HY: It’s a way of letting go, I suppose, a way of letting the writing go. HAT: Yes. How do we know a text is good? If you ask me, we know it in this way: we start writing, but the text turns its head after a while and begins to write us. That is, the time when you start to feel this is when it begins to become a text. We need to give the text an opportunity to write us, in fact. HY: But for example, your use of the word none is interesting. The imagery and metapor in your texts of nothingness, absence, deficiency or shadowlessness is not only used in Shadowless but is often used in your other novels as well. HY: It seems something oft-repeated—I mean, both in theme and in imagery sometimes—this absence, nothingness, shadowlessness, and in your novels the characters you create are often weak, powerless, far from power or strength in every way. Would you like to comment on this? HAT: I don’t know at all; it means that I have words that I use a lot. I am actually talking about our vulnerabilities. What I call style is somewhat the repetition of our vulnerabilities. Similarly, the feelings I mentioned earlier, too, are certain feelings that form us, ourselves and our thoughts. I look at everyday life in that way. Being powerful is actually a shameful thing. Really, a shameful thing. HY: And it’s a very much worshipped thing in our day and age. HAT: People live without knowing the taste of weakness. No one advances the joys of weakness. All Kafka’s power is in his weakness. If he wasn’t such a weak person, no doubt such strong texts would never have come from him. HY: What do you say about children and the mentally ill? HAT: I have said this once before: if there is such a thing as the truth, those who are able to come closest to it are children and the mentally ill, because they are not polluted with knowledge. They are those furthest from the wound called knowledge. HY: And whenever I’m reading I notice this: it seems that children are very special to you. Indeed, there are important people who do not lose their links to their childhoods. Most of us, sadly, completely lose our connection to our childhoods. As we grow up, that connection weakens and declines, but some never lose it. It seems you are like that; your childhood is a great treasury for you, and you seem to take your strength from there as a writer, in your writing. HY: That seems to me to be a very rich period, in which you were nourished in every sense, when you were a child. HAT: The state of childhood, yes. After all, someone who doesn’t cling to his childhood cannot go anywhere. It seems that everyone’s childhood, even if it passed in sadness, is a golden age in their lives, since many things happen or become clear at that time. I don’t know; I think I still look at life with the eyes of that ten-year-old child reading Kemalettin Tuğcu. In any case, in order to write you either need the spirit of a child or the spirit of a madman—that is, texts written in a mature, reasonable adult way don’t seem to me to be healthy texts—and maybe we can categorize authors in this way, as those who write with the spirit of a child and those who write with the spirit of a madman. 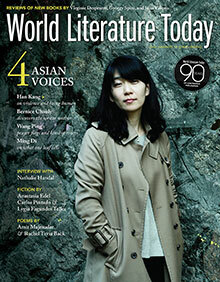 HY: Are there important works that still excite you, that you read again and again in world and Turkish literature? HAT: Of course there are works I read again and again. I read Proust over and over again, I read the Torah over and over again, I read Kafka over and over again; I cannot stop reading Cioran’s works either. HY: Is there a special reason; that is, are you mulling something in particular over when you think about the works you return to read again? HAT: Sometimes, let’s say I seek sanctuary in those old works in order to escape from the lack of taste of some of the books published today. Sometimes I want to remember them. I want to remind myself of Proust, of Celine. Sometimes I read these types of books in order to forget the structure of my own sentences. For instance, I read the Torah just for its music; I like its rhythm. I like it because the story doesn’t have a bearing on me. There are many reasons like this to read. 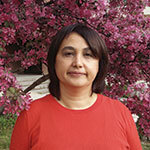 Hülya Yıldız is an assistant professor of comparative literature at the Middle East Technical University in Ankara.